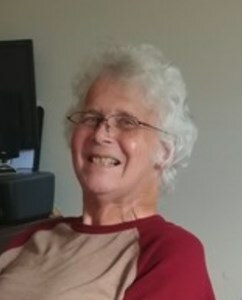 Steven Frank Wilske, 65, of Olathe, passed away on January 24, 2019. He was born on January 11, 1954 to Lawrence "Larry" Wilske and Dixie Lee Caldwell in St. Louis, MO. Steve graduated from high school in St. Louis and later worked for Detroit Tools as a machinist. He was a hard worker who enjoyed wood carving and making cabinets. Steve loved animals and was always willing to help people. He will always be remembered for his laughter and his smile. He is survived by his loving wife, Susan Wilske; daughter, Brooke Wilske; grandaughter, Onna Wilske; mother, Sue Wilske; brother, David Wilske; and his nephew, Dominic Wilske. Steve was preceded in death by his father, Larry Wilske; and his son, Brandon Wilske. A gathering of family and friends will be held on Saturday, February 2, 2019, from 10:00-11:00 am at Penwell Gabel Funeral Home in Olathe. Burial will follow in Olathe Memorial Cemetery. To leave a special message for his family or to share a memory of Steve, please click on the "Share Memories" tab above or scroll down below. Add your memories to the guest book of Steven Wilske.